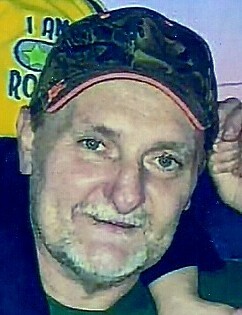 Scott M. Brackett, 47, of Wabash, passed away at 3:45 a.m. on Sunday, February 10, 2019. He was born in Wabash, on April 24, 1971 to Danny Brackett and Debra Beeks. Scott worked at Dalton Factory for many years. He was affiliated with Christian Heritage Church. Scott loved to fish, mushroom hunt, and being outdoors. Scott is survived by his mother Debra, of Wabash; daughters, Kennedy Brackett and Delecia Halverson, both of Wabash; brother, Mike Venosky, of Wabash; granddaughter, Harper Morrisett and close family friend, Tonya Hampton, of Wabash. He is preceded in death by his son, Daniel Brackett, who died on November 14, 2018, father, Danny; and brother Martin "David" Brackett. Funeral services will be at 11:00 a.m. on Thursday, February 14, 2019 at McDonald Funeral Home, 231 Falls Avenue, Wabash, Indiana 46992. Tim Prater will be the officiant. Family and friends may call two hours prior to the funeral service starting at 9:00 a.m. Preferred memorials are to McDonald Funeral Home to help with funeral expenses.